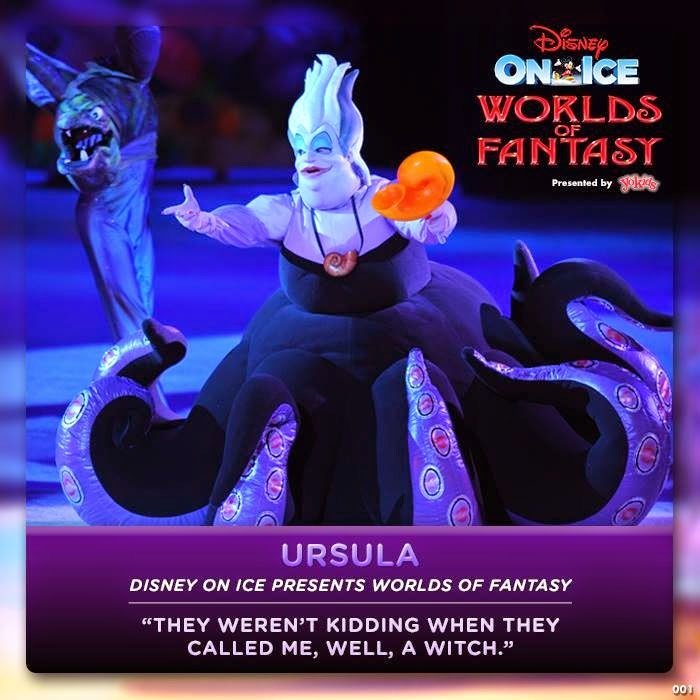 As a Disney On Ice Insider, I was lucky to receive 4 tickets to Disney on Ice - Worlds of Fantasy at Canadian Tire Center. The show comes just a few weeks after arriving home from Disney World, so it was nice to be able to get a little Disney Magic back for a short time. I had issues with my phone, and wasn't able to capture any photo's during the show :( There were many great photo worthy moments so I am a little sad about that. My mom hasn't been to a Disney on Ice show in many years, and she really enjoyed watching the magic and seeing the boys (especially Mr. K) taking everything in. The kids loved when Minnie and Mickeys car backfired - I think that was their favourite part of the show. Mine was the Under The Sea performance (I love "kiss the girl" and the costume for Ursula is absolutely fantastic). They did a great job of capturing the different "worlds of fantasy" with Cars, Little Mermaid and Tinkerbell during the first act. There is a short intermission, and when they return the rest is Toy Story. I found it a little TOO much Toy Story to be honest, and so did the boys. They were waiting for more characters to come out, but that was the end. All in all, it was a great show and we were so glad to be able to attend. Worlds of Fantasy runs until March 1st, you can purchase tickets from Capital Tickets. There seem to be a lot of great shows directed at kids traveling around these days. I wish that some of them would come locally. Living in Ottawa, we are fortunate to get most of the shows! I used to go to shows like this when I was younger. I have never been to an ice show but would love to go. I've heard really great things about this show! It's coming here to Calgary March 25 & I am thinking of taking my kids. We love events like this! Wow this looks like it was a great show!